BROOKLYN, N.Y. -- (WPIX) -- Images were given to PIX11 by sources Tuesday showing a man sought for questioning about an armed robbery in Brooklyn where police said a woman was sexually assaulted and her husband – a retired NYPD lieutenant — was slashed in the face. Tyrique Rushing, 20, has been identified as the person wanted for questioning in the Oct. 7th incident. Two images were given to PIX11 on Tuesday by sources, one with wearing glasses. Rushing was identified more than a week after police said a suspect had been spotted on surveillance video wearing a dark-colored shirt with the word “dreamville” written on it. It is not clear yet if Rushing is that suspect. Last week, two people were arrested in connection to the incident. 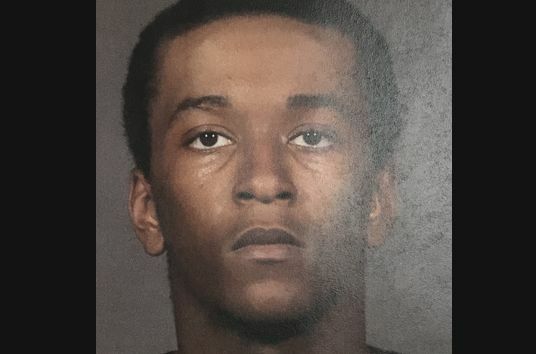 Lance Jyrkinen, 20, and Shirnel Sobers, 25, are charged with attempted murder, assault, burglary, grand larceny and criminal possession of a weapon.